Eyebrows are the frames of the eyes…actually, of your face. Your eyebrows can help accentuate your eyes and bring out your natural beauty. No matter if I’m just going to the supermarket, I have to fill in my eyebrows a little bit…it really changes your whole makeup look. 1. Comb your brows to make the hair fall in place- that way you know the shape you will need to follow. Lancôme’s Le Crayon Poudre is a dual-ended brow pencil and brush shape perfect to keep your brows polished. 2. To know where the highest point of your arch is, use the same pencil, and align your nose bridge and your iris. 3. Do the same by aligning the pencil and your outer eye corner to know the end of the brow. 3. Using Les Sourcils Définis from Lancôme, I lined the outer shape of the brow- the ultra fine tip of this pencil delivers a precise application for evenly defined brows. 4. Fill your brow with small movements, like you are drawing little hairs. I’m using Le Sourcil Pro Expert Brow Pencil & Highlighter;this duo includes a brow liner perfect for shading and a highlighter. 5. Talking about highlighter, apply it to the arch of your brows and blend it gently- this will emphasize the brow and illuminate the eye area. 6. Finally, I used the Lancôme Modéle Sourcils BrowGroomer. You can use this clear lightweight gel alone on lazy days (when you want to ignore all the steps above) or over your finished eyebrows for a flawless and well-groomed look. - Choose a color that looks natural. If you have dark hair, choose a color that’s two shades lighter than your hair. If you have light hair: choose a color that’s two shades darker. 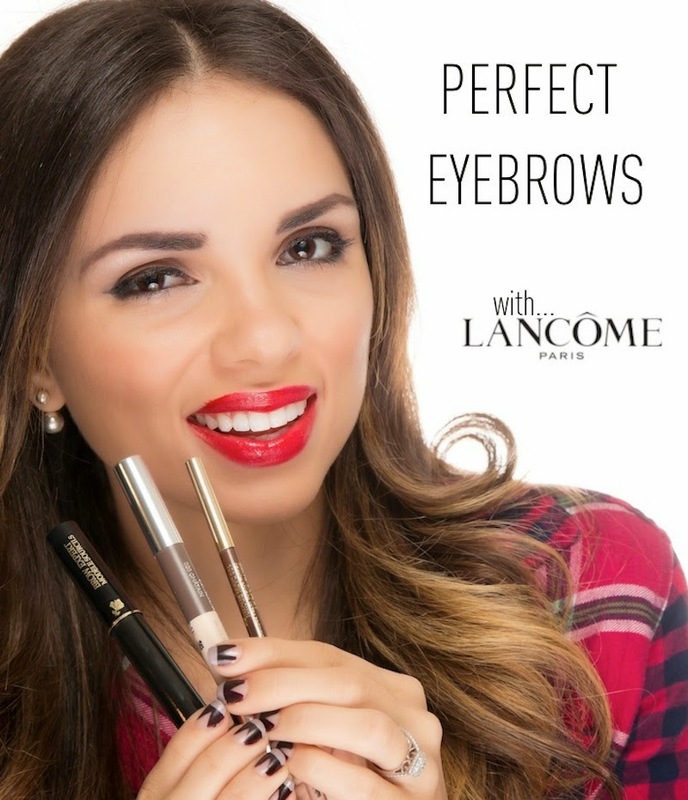 P.S: Don’t forget to check out Lancôme’s brow collection by clicking HERE .